In the second installment of Digit-al Dozen Does it AGAIN...we have October 2012's theme - Halloween. I'm not a big Halloween lover. I know some people look forward to it more than Christmas! But me? Meh. I like celebrating the fall. I'm so ready for it by the time it comes around! So I went classic for my "Halloween" design. 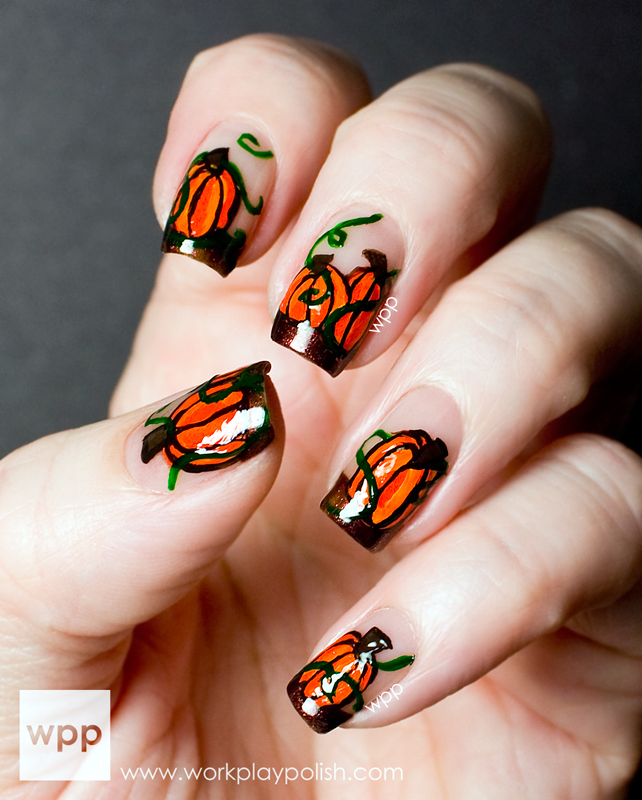 This pumpkin patch nail art was inspired by Jessica at Nailed Daily. (Visit her original post here.) Actually, "inspired" isn't strong enough. I pretty much just copied it exactly! :) If you've never visited her blog...do! She does some amazing freehand work! 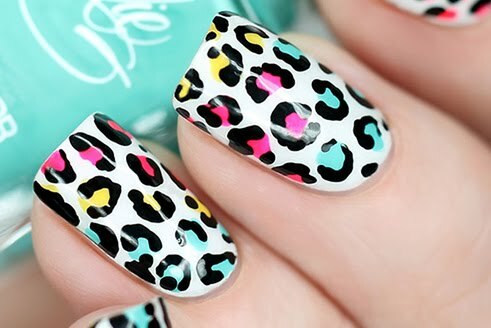 I used China Glaze Love Letters as my base. 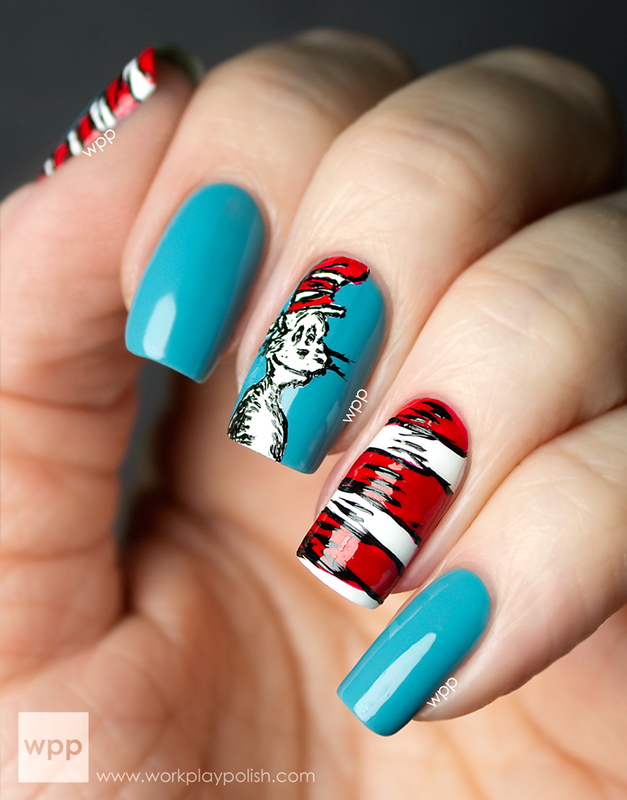 (I always use Love Letters when I'm going for a natural nail look). Then I roughly painted french tips with Zoya Cheryl. The pumpkins and vines are done with orange, yellow, brown and green acrylic paint. I sealed it all in with G&G HK Girl Topcoat.